Over the past few months, I’ve been unable to do any physical training due to a stress fracture. So since I couldn’t train my body, I decided to make the most of it by training my brain. 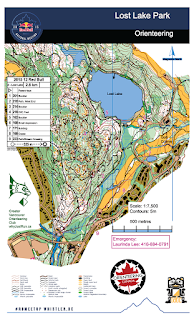 I talked to HPP director Brent Langbakk and he gave me several great mental exercises to prepare me for the orienteering season. Here are some tips to get you started. For the first few weeks, practice pure relaxation. While sitting up or standing take a deep breath in through your nose and tense up one muscle group (forehead, jaw, neck, shoulders, etc. all the way down to your toes). Then breathe out through your mouth and relax that muscle group. After several sessions, try tensing your whole body at once on the inhale then relaxing your whole body on the exhale. Think of it as a wave of warm water washing over from your head to your toes. After several more sessions of that do the same thing, but don’t tense your body on the inhale, just relax your body on the exhale. On the exhale say a key word (i.e. relax, nice and easy, etc.). It doesn’t really matter what it is but the idea is to link this word with the idea of relaxation so that when you’re feeling stressed during a race or elsewhere, all you need to do is say that word and you’ll calm down. I did this for about eight minutes once a day. Once you feel that you’ve mastered this, then it’s on to visualization. Start off with objects around your house, look at them for a bit, then close your eyes and try to visualize them. The shape, colour, texture, weight. Try to rotate them in your mind to look at them from different angles. 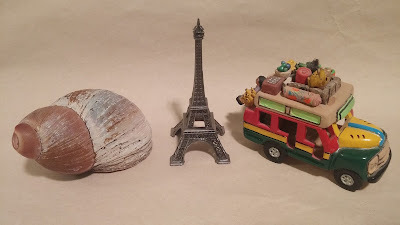 My room is full of little trinkets and souvenirs so I had no problem finding something. However if you’re having trouble, here are some ideas, a watch, your favourite book’s cover, your pet’s face, TV remote. After about a week of this, try to visualize things outside of your room. A good but challenging thing to try is people’s faces (I find the nose is the most difficult feature to get right). Now you finally get to look at some maps! If you can, find a novice course or an urban sprint and just practice visualizing each control circle from different directions. Then add movement, how does the feature change as you approach it? At first the movements may seem to be in slow motion but as you progress, your mind will be able to picture everything around you faster. By the end, aim to have a 1:1 speed, that is, the time it takes to visualize a whole race should be the same time it would take you to actually run the race. Urban maps are good to start on because the features are generally more organised and easier to visualize, while the features in forest maps are more random. Complete a few easy courses in your mind then progress to longer, more technically challenging courses. If you would still like to make it more realistic, add other senses such as sound, smell, muscle fatigue, adrenaline, sweat, other competitors, various weather conditions, etc. Add anything you might feel during the race to make it as realistic as possible. Mental training is a very powerful tool to have because there are no limitations. You won’t get tired or injured from over-training, you can do courses that are halfway across the world, even in the middle of winter you can train. I always look forward to the various training camps in Canada. Seldom do we get the opportunity to meet up with other high level orienteers from across this vast nation. 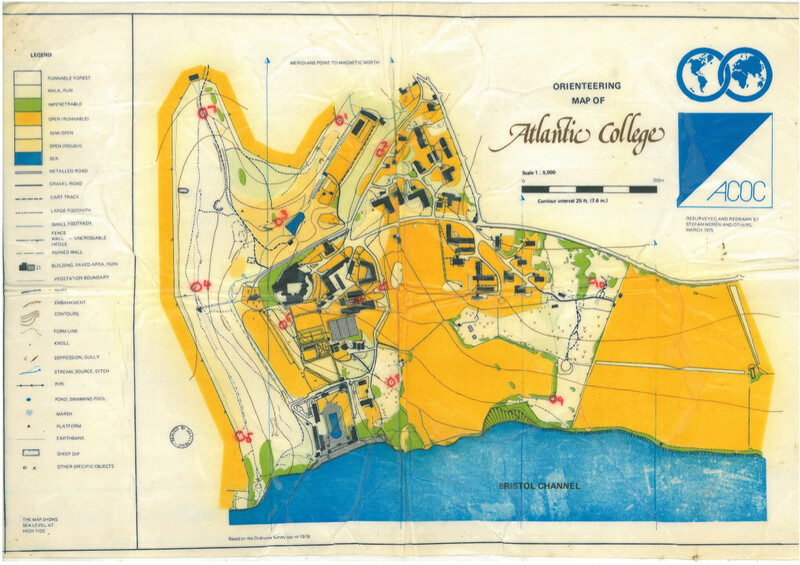 Training camps aren’t simply about the orienteering - not to say say that we don’t enjoy that tremendously- they’re a reunion. Well, enough of the banter. This Thanksgiving weekend was the Calgary training camp held in Canmore, BC. And in Calgary, of course. The event was graciously organised by the Svoboda family, along with the help of Adrian Zissos. It might also be worth mentioning that Ida and Søren Bobach, two world class gold-medal winning Danish orienteers, graced us with their presence as well. I probably should have put that in the introduction. 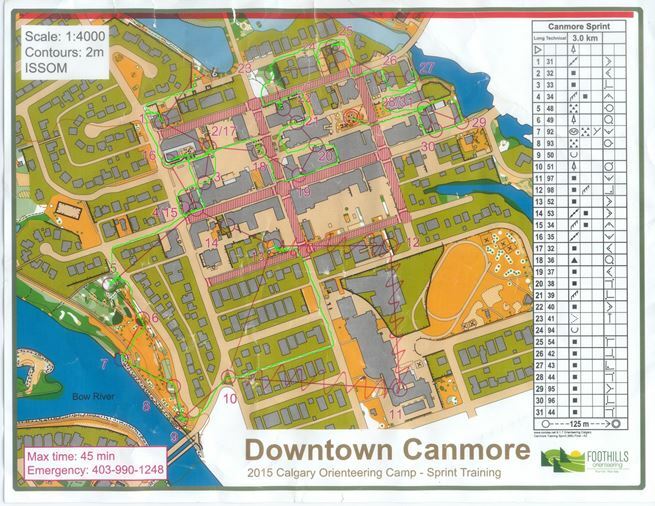 It all started bright and early Friday afternoon with a casual, untimed sprint in downtown Canmore. It was a good start to a weekend of training, not too physically or technically demanding. Unfortunately, the map was considerably outdated, and some of the legs had to be cut off due to the decidedly annoying lack of a building (yes, that big one between 10 and 11). 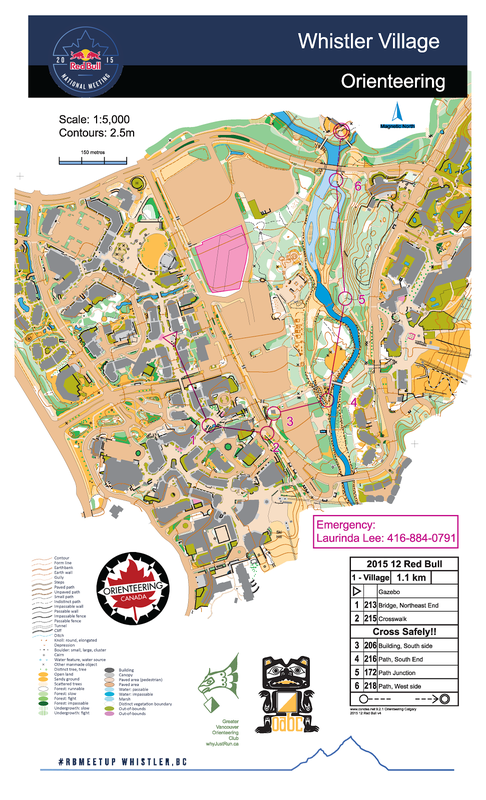 The same afternoon, a middle event was held on the Quarry Lake map close to the Canmore Nordic Centre. 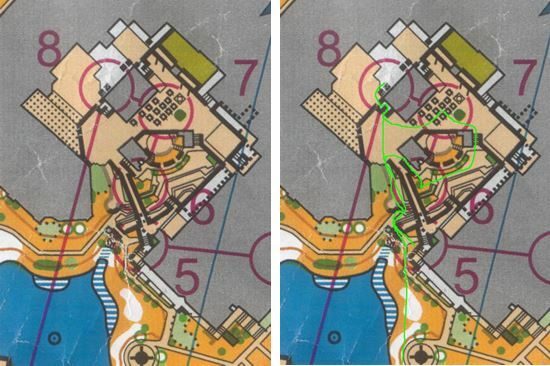 As the map was plagued by a number of trails, the overall technical difficulty of the course was somewhat lower than that of the average middle distance, though it goes without saying that I made some errors (refer to route drawn out below). Micro-route choices through the dense clutter of fallen trees proved important to save valuable time. After a catered dinner in the Canmore Nordic Centre Friday evening, we were treated to a talk by Søren and Ida about their training schedules. It was interesting to learn that Ida does not train for more than one and a half hours at a time, as this represents the longest period in which she will actually be racing. In 2014, she clocked in 577 hours of training, though to date her hours for 2015 combine to only 474 (still quite a lot). Søren trained somewhat less than Ida, ranging from 400-500 hours in the past few years. He mentioned that a few years back, he was increasing his training by much more than the recommended 10%, and that it resulted in quite a few injuries, though he added that he generally recovers much quicker than most. Both Søren and Ida have logged more hours of cross training/alternative training than running. Ida’s strength training accounts for about 20% of her regime. Saturday was the headline attraction of the weekend with the the 50 control ‘middle’ at Bow Valley Provincial park. The day started with a ~3.5 km corridor-O to the start of the ‘middle’: a 8.4 km concentration-fest that Søren and maybe a few others could have completed in under an hour if they were on top of their game and hadn’t added 3.5 km of tricky orienteering to the start of it.. Needless to say it wasn’t very middle-like but it was a ton of fun and good training. Because of the control-picking style of the course and the technical nature of the terrain you had to stay focused nearly the entire time. With the intricate contour detail, sharp ridges and variable runnability you couldn’t simply set your compass and look up for your next control feature. You had to have a full plan for every leg then focus on executing that plan and not drifting onto a parallel large ridge or tiny depression. Somewhere in there you had to plan your next leg too! My role this weekend was two-fold: first, I was there as an athlete - there was no way I was going to miss this chance to train with Ida and Søren! and second as a coach for my SOGO level 3 athletes all of which, I’m proud to say did very well this weekend! At the beginning of the day I met with my athletes to provide them with advice and a goal for the 50 controls: The goal is to stay as focused as you can for as long as you can. When you stop being able to refocus after a lapse is when it’s time to quit. For me it was at control 43 when I had to admit it was time to follow my own advice. Beyond that point I would have simply been reinforcing bad habits. Until that point it went well though (other than the fact that several of my teenage athletes stayed with me for far too long and even beat me to several controls). I blame running 35 km in 6 hours the weekend before with Patrick to win Run the Wild in Cranbrook and not recovering properly afterwards… oops! Following the 50 control course was a control description exercise where I shadowed one of my athletes. Then it was time to head back to Canmore for a much needed shower before dinner at the Nordic Centre and another talk by the Bobachs. This time the subject was how their national team and elite training centre in Denmark are structured. Definitely lots of lessons that could be taken away from it - primarily how much all being in the same city and really focusing on being a team makes a difference. Applying here in Canada isn’t so easy of course. We don’t have near the resource they do - a multi-million dollar budget and 2+ full time coaching staff plus access to physio and massage therapists, dieticians, mental coaches, etc. are thigns we’re a long long way from having! We awoke early (early for a weekend at least) Sunday morning to drive into Calgary for the final two sprints of the camp. The first was held on the U of C campus, starting just outside the Olympic Oval. 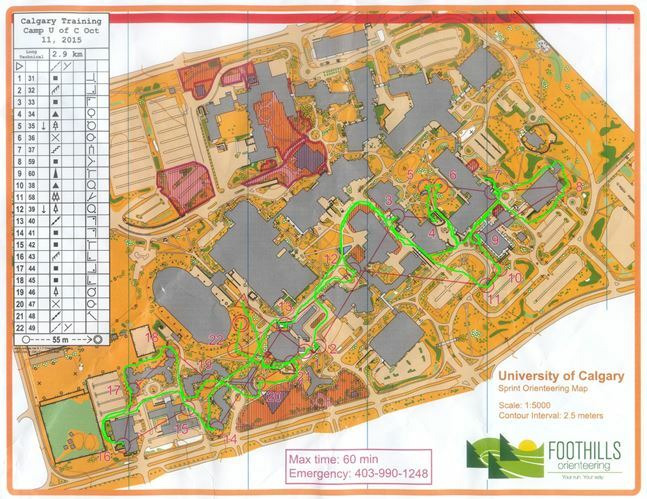 In essence, it was a classic University sprint course. Many large buildings to find the best route around, and a handful of traps, most of them defined by impassable walls (see control #4). Being able to anticipate smaller features like ramps and staircases was also necessary, as missing a turn could cost you your momentum and valuable time. The final event of the camp was held on the Mount Royal campus. The map had been drawn by Michael Svoboda and American Matej Sebo, and this was its grand unveiling. 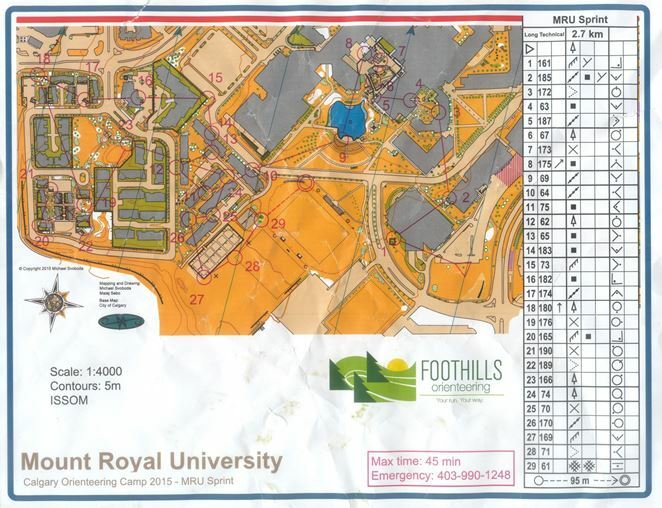 Contrary to the U of C course, Mont Royal was quite an atypical University sprint map. In the place of large, oddly shaped buildings was an array of modest rectangular residences and interspersed areas of intense detail. The course brought the runner through a variety of terrain, from parkland to miniature pedestrian blocks. Most notable was the section between controls 5 and 8, where we were presented with an intricate courtyard of stairs, underpasses and balconies (See blown up section below). It was one of the most interesting sprint challenges I have ever been faced with. All in all, it was a great weekend of orienteering and meeting with some of the world’s top orienteers. I got to experience some amazing terrain for the first time, and run some fantastic training. I extend my gratitude to the organisers as well as Søren and Ida for their hard work and effort in making this weekend what it was. I look forward to coming back sometime soon. This past weekend an contingent from GVOC headed down to compete in the Seattle Adventure Running tournament. 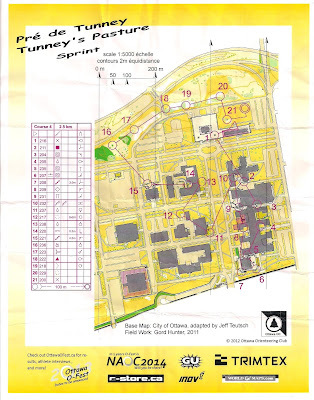 The event was a sprint orienteering tournament featuring an 80 person bracket. There were 6 races: a time trial, 4 mass starts (without forking) and a forked final. The mass starts were heats of 5 where the top two moved to the upper bracket, and the last two moved to the lower bracket. The 3rd place competitor of two heats would have their race times compared and the person with the faster time advanced to the upper bracket. It was an exciting format. 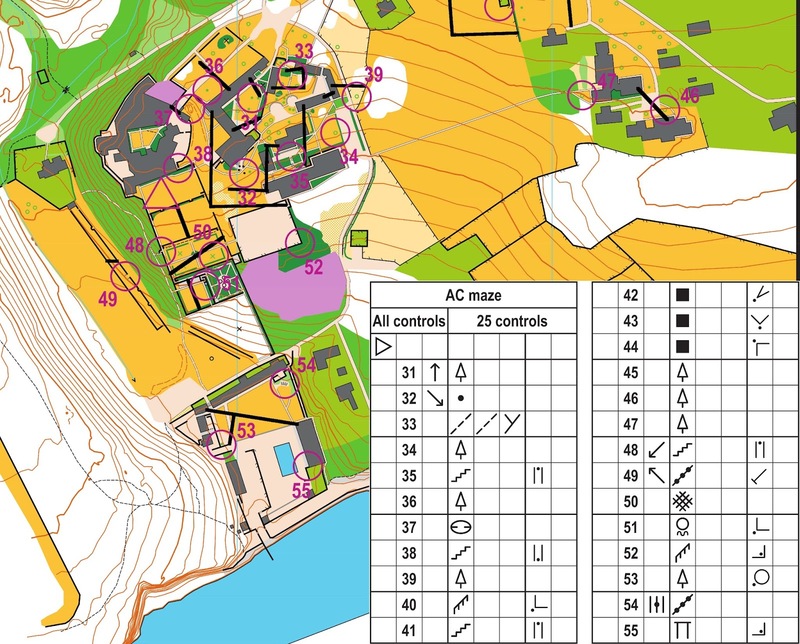 You got placed with the competitors closer to your fitness/orienteering skill level as the weekend went on. My first really competitive heat came in round 3 (the 3rd mass start race). After a tricky multi leveled race on the North Seattle College map, Eric Bone and I claimed top two. However, the heat was a fast, allowing Graeme Rennie advance to with his 3rd place finish. Having made it to the top 10, the two races on Sunday promised to be quite exciting. 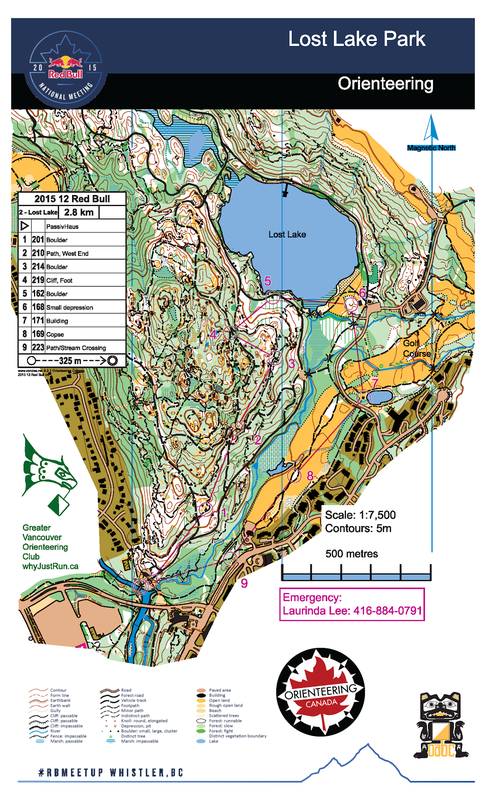 Thanks to the excellent course planing and organization by the Cascade orienteering club, the races delivered on the hype. The semi final race featured an interesting route choice right off the start. What do you think is the ideal route to control 1? Graeme Rennie, knowing he would be unable to keep up if the heat took a runners route, led the heat straight up the hill to the parking lot. Upon reaching the parking lot Eric Bone and Will Enger took routes to the north of the track while Graeme Rennie, Ian Collings and I ran along the parking lots to the south of the track. Thanks to Graeme's snap decision, we all missed the trail route to the far north with barely any climb. The route choice on control 1 allowed Ian Collings and I to jump to a comfortable lead and 1,2 placing. Despite a heroic comeback, Will was held off by Graeme in the finish sprint. The result was a final with 4 Canadians and New Zealand national team member Jourdan Harvey. Unlike the other heats, the final was forked and involved lots of passable fences to vault over / slide through. GVOC member Ian Saari sprinted to victory, followed by Jordan, myself, Graeme and Ian Collings. The full results, splits and maps of the races can be found at the event website. It was a well organized event with inserting maps and a exciting format. I'm certainly looking forward to another Seattle Adventure Running Tournament next year. Although I have (over the years) run on more maps than I can count - with countless names written in the bottom corner as to who made those maps - I had never really considered the amount of work that goes into making a map so that I can use it. That is, until I tried my hand at making one myself! 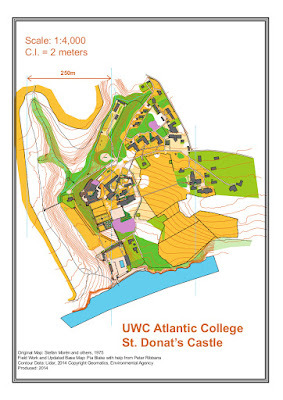 These past two years, I have been going to school at UWC Atlantic College, an international 6th form school in south Wales (UK) boasting over 100 languages, 90 countries and a myriad of ruins, formal gardens and beautiful 13th century buildings, but not one up-to-date orienteering map. 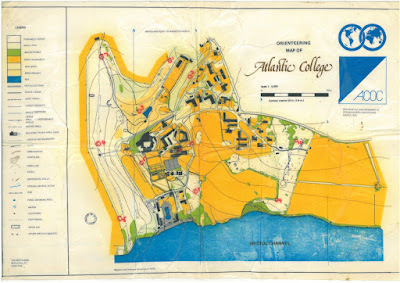 The most recent (and only) map I could find of the school grounds was from 1975, and featured 25 foot (or 7.6m) contours! It was also hopelessly out of date for while the castle had changed very little, the grounds were very different and there were a number of new buildings. The mapping standard for sprint maps has also changed considerably in the last couple decades. 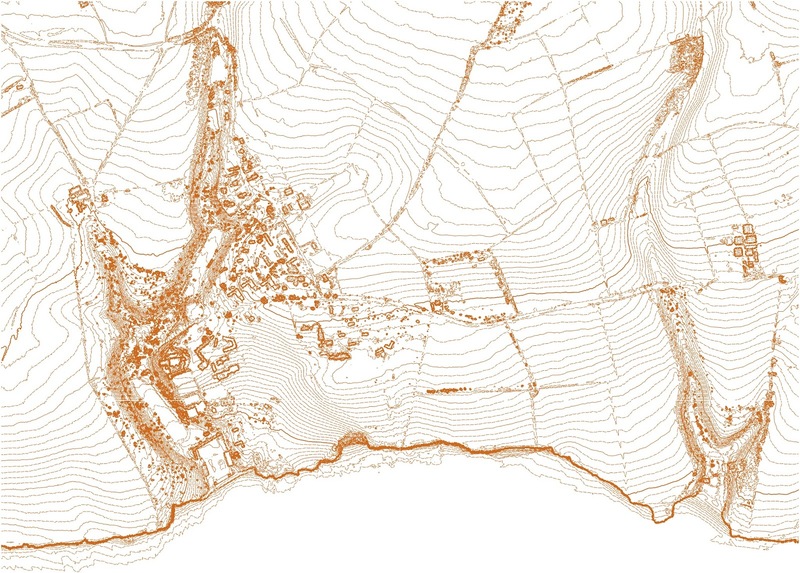 The first thing which I did was acquire LiDAR data, which is invaluably useful as it gives you very precise contours. Luckily, because I was making an orienteering map, I was able to get the data for free! 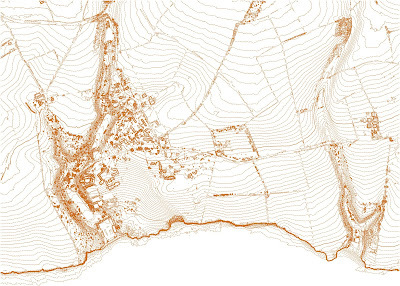 There are two kinds of LiDAR data: Digital Surface Modelling, which shows the underlying contours of the land, and Digital Terrain Modelling, which shows the land, as well as all the buildings, stone walls and big trees as very steep contours! See if you can match up the map above with the DTM below! Next came the task of actually drawing the map! I first made a rough sketch of the map using the LiDAR and the old map, and then proceeded to walk all over campus, drawing in missing walls, staircases, trees and more. Then it was back to the computer to add those bits in before heading out into the field again. Bit by bit, the whole thing started to come together. 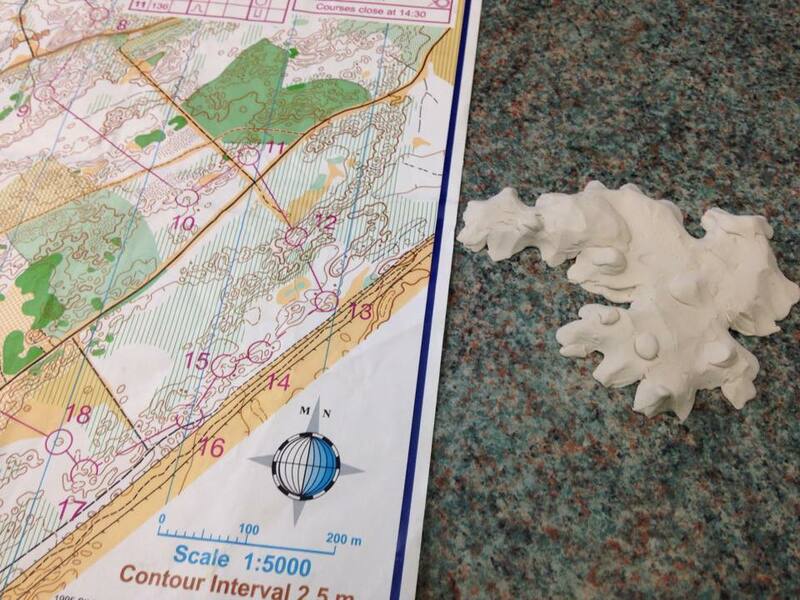 The next step was to run an orienteering activity using the map I had just made. 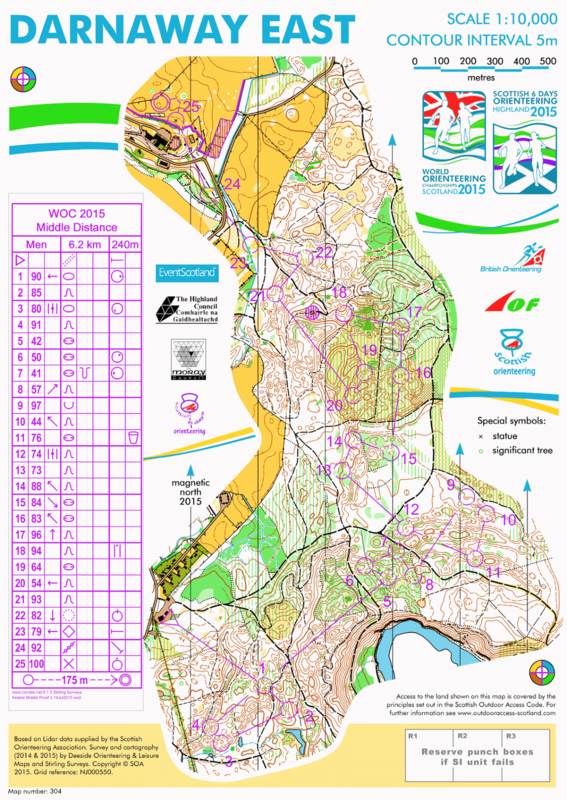 I decided to run it once a week focusing on a different aspect of orienteering each week. One week, when it was very rainy, we played with play dough in an attempt to better understand contours. I brought a number of my old maps in, and instructed my fellow students to choose a hill from the map and build it from play dough. Then it was up to everyone else to guess which hill they had made! Can you guess the hill? Another week I created a labyrinth over the map and placed multiple controls on it. It was a score O, but you were not allowed to cross any of the black lines (this is a very good exercise on a map you know inside-out, as it forces you to focus on the map). How would you get from 48-32? Of course, every training needs to include a race, and so as the last training we ran a course to see how much we had learnt. All in all, it was (I hope) a great learning experience for my fellow students and it was most definitely a great learning experience for me. My big race this season was the Scottish 6 Day event which turned into 8 days because I signed up for the two sprints as well. That meant 8 days of racing with no rest, man did I feel tired at the end. The day after I was done racing I was in Edinburgh trying to go up the stairs to Calton Hill and I had to stop and rest because I was so tired and sore. I also learned that when you come to these big events, you need to remember to pack a Canadian flag and a stool! The first race for me was the sprint in Nairn, which was right after the WOC Sprint Relay. It was really exciting to spectate for this race, the organizers put a lot of effort to make this race spectator friendly and I think they did a pretty good job. After the WOC racers were down we got to go out on the map in a shorter version of the race. We ran through sand dunes, a really fun part of the town and park. We even got to run the same spectator and finish shoot as the WOC runners. The first official Scottish 6 days was on a map called Achagour. When you look at this map it seems like a mix of different terrain but it is all WET and MARSH! I forgot how marshy it can be in the U.K.. I also found that if it is yellow on the map it is not nice and clear open like I am used to, it's open from you waist up with lots under your feet. Also if you are going to try and run along or through a marsh be prepared to fall in waist deep at any moment. My race was pretty good, just slow trying to get use to the terrain. One thing I remember from the race is on the last half everyone had at least 20 black flies flying around their heads, which was fine if you kept running. Day 2 was at Strathfarrar, man was that a hard day. I had a horrible race that day, I didn't finish. I spent almost 30 minutes trying to find my 4th control and probably the same time on the 5th until I gave up. 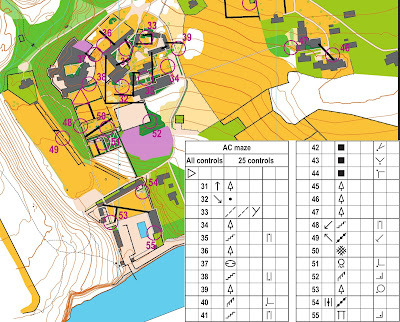 I am not good at orienteering on precision compass and I definitely needed it for this race. It's really hard to see contours or features when it is just covered with chest high bracken (tall ferns) the whole time, I was surprised I wasn't covered in Ticks. Rest Day was a rest day for some and a sprint day for others. The sprint took place in Forres. This was a really fun sprint race. There were little traps and you had to make sure you stayed in contact with your map. I thought the course planner was a little mean with the last 5 controls. They put 4 controls on this big hill that was very runnable if you weren't tired or not slipping around because of all the dead leaves on the ground. Afterwords I went to spectate the WOC middle and cheer on the Canadians. Day 3 and 4 were at Darnaway. I really enjoyed this map! It was closer to what I am used to, lots of runnable forest with negative topography. I had a pretty clean race on day 3 and made two very stupid errors on day 4. It really takes it out of you when you run one of your long legs and a half. The WOC Relay was also in the same area on Day 3 so it was really easy to cheer on team Canada! Day 3 at Darnaway. I couldn't get all the cars in and even kept flowing in. Day 5 and 6 were at Glen Affric. So this was kind of in the same area as day 2 and I let it get in my head on day 5 and it effected my race. I did better then the second day but I had another unfinished race. At the end I had 3 controls left and I just couldn't find my 22 control. I kept relocating and it just didn't work. I finally threw in the towel because nothing was making sense andI was getting really dehydrated. The last race was the longest with the most climb and I was feeling pretty nervous because of the previous day but then I decided to race how I like to race and enjoy it and I finished!!! I also had a pretty good time during this race. I had a great time at Scottish 6 days. I got to see some orienteers I haven't seen in awhile. I got to race in new terrain and learn some valuable lessons in my opinion. I learned if you sign up for W21E you are going to get your moneys worth and as I mentioned at the beginning bring a stool and a Canadian flag. I also learned that I really like 1:15,000 maps more then 1:10,000. The WOC Long took place at the remote Glen Affric. The forest was a mix of runnable areas and fallen trees, with some complex contours and few paths. People likened it to some Scandinavian terrain. The men's map is here and the women's map is here. And, as is the case with most longs, it was physically very tough and athletes did not seem confident that they were picking the best route choices. Team Canada had a good day of racing today. On the women's side, Louise Oram steadily pick up places throughout the race to finish 33rd (which I believe is tied with her best WOC long result from 2012 in Switzerland). Emily Kemp came in 20th, an improvement on her previous best of 25th in the long. This is also the best Canadian result since the long format was introduced (previously it was a classic race). Based on their strong performances today, both are pre-selected to the Long for next year's race (any Canadian athlete in the top 40 is pre-selected). For the men, Will Critchley had a top 50 result coming in 49th. Robbie Anderson improved upon last year's placing of 64th by finishing in 54th. Well done! Official results are here and live results can be found here. Canada should remain in the same divisions for next year's WOC which means 2 female spots for the individual forest races, and 1 male spot. This year there were two males because Robbie and Brian won individual spots as regional champions at the North Americans. That's a wrap on WOC 2015. Congratulations to our athletes for a solid week of WOC racing and thanks to the team leader Meghan Rance, coaches (Raphael Ferrand was on the ground, but athletes may have other coaches throughout the year), and supporters. We look forward to cheering you all on again next year in Sweden, and we'll see some of you soon at the Canadian Orienteering Championships! What an exciting day! 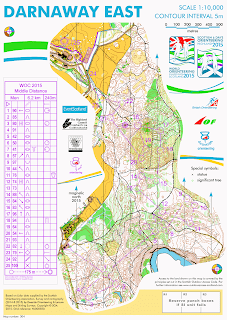 The WOC relay was in Darnaway again, but this time the terrain seemed much faster than yesterday's middle. The map can be found here. The Canadian women's team put in a very solid performance. Louise handed off to Tori in 21st place. Tori passed off to Emily in 23rd, and then Emily had a stellar race to come in 19th. The Canadian women seem to have a thing for making every second count in relays as Emily out sprinted USA's Ali Crocker by 2 seconds in the finish chute. This is the first time since 2011 (if my memory serves me correctly) that the Canadian women's team has beaten the US team. The Danish team dominated the relay to win gold. The women's results can be found here (live) and here (official). There was also excitement on the men's side! Damian appeared to have some trouble near the beginning of his course, but Will shortened the gap to the US team on his run. Then Robbie ran very well on the anchor leg to come in about a minute behind the US team. They placed 30th, which is one spot better than last year. Switzerland was the clear leader throughout most the race, and there was a fight between Norway, France, and Great Britain for the rest of the medals. The men's results can be found here (live) and here (official). There is a rest day (for athletes and spectators from afar) tomorrow. The last race of WOC will be the long on Friday, August 7th. Louise Oram and Emily Kemp are up again for the women and Robbie Anderson and Will Critchley are racing for the men. Start times are between 10:00 - 14:15 BST (2am - 6:15am PST, 5am - 9:15am EST). Damian Konotopetz and Brian May were running in the men's race, and Louise Oram and Emily Kemp were running in the women's race. The official results can be found here, and splits can be found here. We haven't heard from the athletes yet about their runs. Next up is the relay tomorrow in the same area. The women's mass start is at 13:55 BST (5:55am PST, 8:55am EST). Emily Kemp, Louise Oram, and Tori Owen will be racing. The men's mass start is at 16:00 BST (8:00am PST, 11:00am EST). Damian Konotopetz, Will Critchley, and Robbie Anderson form the men's team. Go Canada go! UPDATE 2 (the women's running order changed from the first posting): The running order for the women will be: Louse, Tori, and Emily. For the men: Damian, Will, and Robbie.